The Biodiversity Heritage Library was created to address a major obstacle to scientific research: lack of access to natural history literature. This literature underpins the work of researchers around the world by providing species data and descriptions, ecosystem profiles, distribution maps, inter-dependency observations, geological and climatic records, and more. At a 2003 meeting funded by The Andrew W. Mellon Foundation, scientists stated that providing free, online access to this literature would greatly improve the efficiency of research worldwide. The following year, the 2004 Telluride Institute symposium proposed the creation of the Encyclopedia of Life and led to the 2005 meeting “Library and Laboratory: The Marriage of Research, Data, and Taxonomic Literature” organized by the Consortium for the Barcode of Life (with support from the Alfred P. Sloan Foundation and the National Biological Information Infrastructure of the US Geological Survey) at the Natural History Museum in London. Discussions at this meeting led to an organizational meeting at the Smithsonian Libraries in 2006, during which the Biodiversity Heritage Library was officially formed. At the time of its formation, BHL included ten member organizations in the U.S. and the U.K. Tom Garnett, then Associate Director of Smithsonian Libraries, was named Program Director of BHL in 2007. The Smithsonian also assumed administrative responsibility for the program, establishing the BHL Secretariat. The Missouri Botanical Garden took on the program’s technical operations under Chris Freeland’s guidance as BHL’s Technical Director. Martin R. Kalfatovic, Associate Director of Digital Programs and Initiatives at Smithsonian Libraries and BHL’s current Program Director, took on the BHL directorial role after Garnett’s retirement in 2012. William Ulate served as Technical Director from 2012-2015, following Freeland’s departure from the Missouri Botanical Garden. Today, BHL’s technical development is led by a team of Technical Advisors comprised of staff from BHL’s partner institutions under the direction of Kalfatovic. Initial funding for BHL came from a variety of sources. In 2006, the Richard Lounsbery Foundation provided funding for the creation of a Union Catalog necessary to support mass digitization work. Substantial funding also came from a MacArthur Foundation grant awarded to the Encyclopedia of Life (EOL). BHL was included in the grant to serve as the literature digitization component of EOL. This funding supported mass digitization of the library collections at BHL’s partner organizations and provided technical and personnel support. The Internet Archive was selected as BHL’s digitization partner thanks to their non-profit status, technical expertise, infrastructural support, and scanning centers located in close proximity to BHL’s partners. In 2007, the BHL website launched with just over 300 titles, largely comprised of collections already digitized by BHL’s partners. BHL’s collections have now grown to include hundreds of thousands of volumes. Collection scope has also expanded to include not just published literature but scientists’ field notes and correspondence as well. Since its launch, BHL has served millions of people in 240 countries and territories across the globe. BHL’s consortium has also grown to include Members, Affiliates, and Partners around the world. BHL’s first Global Partner was BHL Europe, which was established as part of the European eContentplus programme in January 2009 with 26 participating European institutions. That December, BHL Egypt was established in partnership with the Bibliotheca Alexandrina as a result of EOL’s international collaborations. One month later, in January 2010, the Chinese Academy of Sciences established BHL China through the CAS Institute of Botany. In June of that year, as an outgrowth of the Atlas of Living Australia, BHL Australia was formed under the leadership of Museums Victoria. 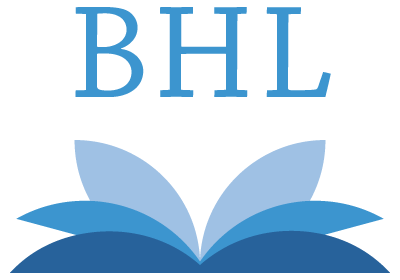 BHL Australia’s website served as the model for the current BHL website, with which the Australian portal has since merged. In December 2010, BHL SciELO was established in Brazil as BHL’s first representative in South America. In 2013, thanks to funding from the JRS Biodiversity Foundation, BHL Africa was established, bringing representation from institutions throughout sub-Saharan Africa. BHL’s newest global partners, who have also both joined BHL as Members, are BHL Singapore and BHL Mexico. Both joined in 2014. BHL Singapore was established in partnership with the National Library Board, Singapore. BHL Mexico is headed by the Comisión Nacional para el Conocimiento y Uso de la Biodiversidad (CONABIO), who has since coordinated the participation of multiple institutions throughout Mexico. BHL’s global partners share protocols and best practices and are working to integrate content from each partner into the central BHL repository at www.biodiversitylibrary.org. With the conclusion of the MacArthur funding in 2013, the program has moved to a sustainable funding model that includes Member and Affiliates fees, institutional funding, in-kind support, and donations. Furthermore, several other funding agencies have and continue to support BHL’s work through grants, including the Institute for Museum and Library Services (IMLS), the National Endowment for the Humanities (NEH), the Gordon and Betty Moore Foundation, the Mellon Foundation, the National Science Foundation (NSF), and the Council on Library and Information Resources (CLIR). 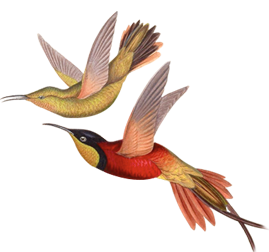 Since it was founded in 2006, the Biodiversity Heritage Library has become the world’s largest open access digital library for biodiversity literature. It now serves as a standard for taxonomic literature aggregation, discovery and presentation as well as a model for other digital library initiatives. By engaging with the scientific community to identify user needs, incorporating tools that facilitate data discovery and reuse, and continuing to grow collections under open access principles by fostering existing and establishing new partnerships with libraries and data providers around the world, BHL has become an unparalleled resource that is transforming the way scientists, researchers, and the public understand and study the natural world. Explore more of BHL’s history in the 2013 Ithaka S+R Case Study. Outstanding Collaboration Award. Association for Library Collections & Technical Services (ALCTS). John Thackray Medal. The Society for the History of Natural History. Victorian Government Arts Leadership Recognition Award (BHL Australia). Laureate. IDG’s Computerworld Honors Program. Charles Robert Long Award of Extraordinary Merit. Council on Botanical and Horticultural Libraries. Internet Archive Hero Award. Global Leaders in Sharing Knowledge. Digital Library Federation (DLF) 2016 Community/Capacity Award (joint recipient with Archive of American Broadcasting).